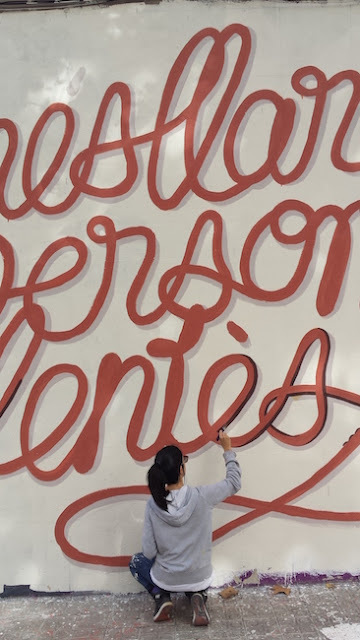 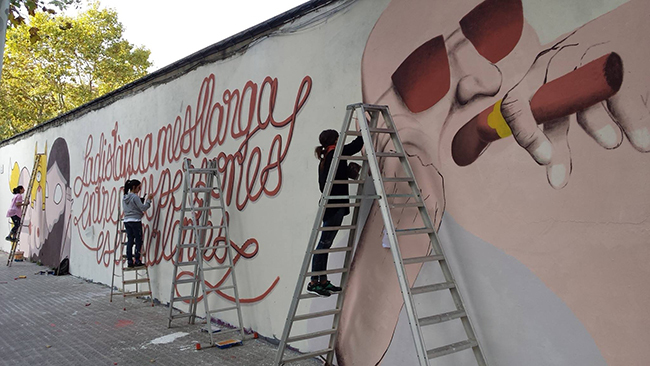 Bali Green : Reskate, Amaia Arrazola & Marina Capdevila, for Openwalls. Reskate, Amaia Arrazola & Marina Capdevila, for Openwalls. 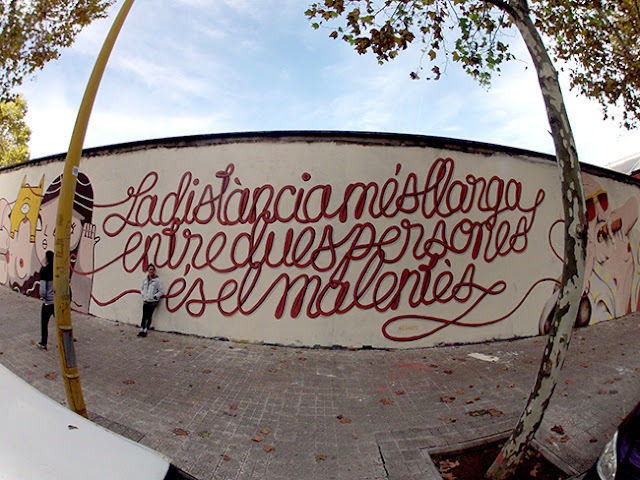 The third wdition of Openwalls Conference 2015, an international meeting of managers, programmers, artists and public, which addresses the management of autonomous urban interventions in public space, from two main strands: an international seminar held at the CCCB and various murals and interventions in public space in some of the districts of Barcelona, as well as other activities related to urban creativity. 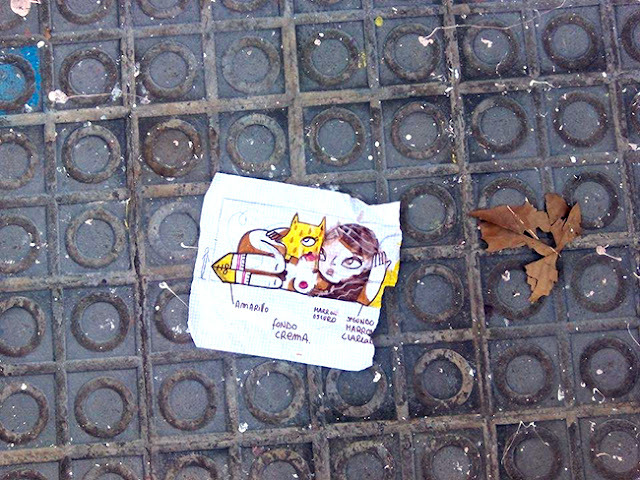 This edition aim, was to consolidate the viability of large scale mural in Barcelona, producing a total of seven murals in the city and its metropolitan area. 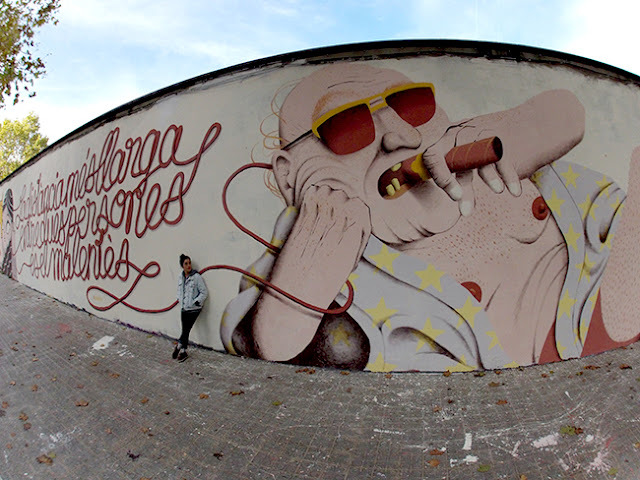 Interventions of this year represented a commitment to local artists or to those who have developed much of his career in the city Barcelona, as well as bringing figurative murals, those which talk explicitly, precisely at a time when there is a historical and social to speak.One of the murals painted during OWC was this large wall located in Poblenou neighborhood, Barcelona. 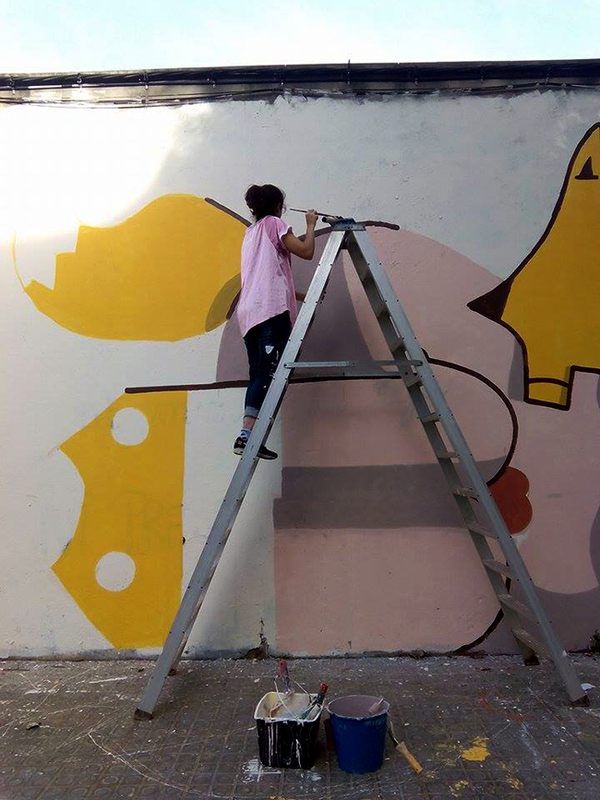 Check out the pictures of the process and the final pieces, they are GREAT! 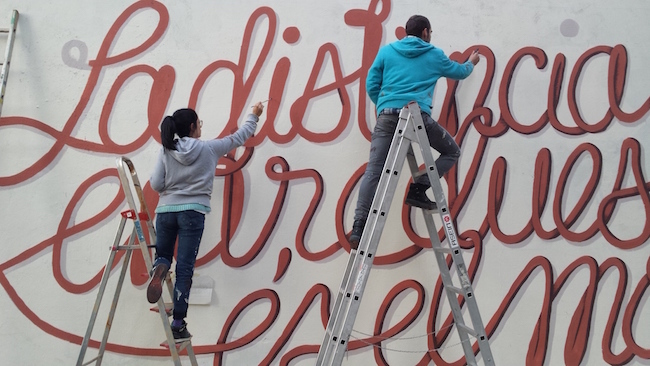 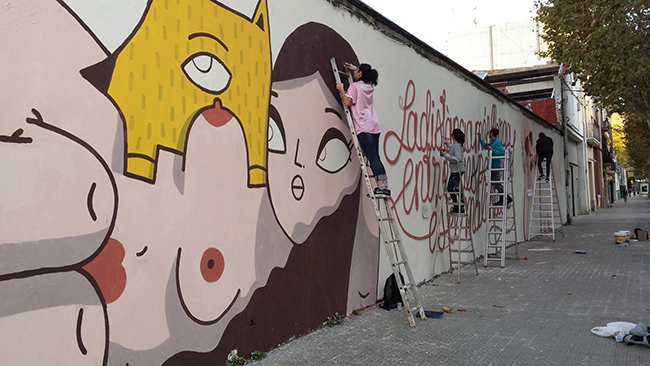 Amaia Arrazola, Reskate & Marina Capdevila working on their murals.